A former senior manager of the Metropolitan Atlanta Rapid Transit Authority (MARTA) has been charged with conducting a false invoice scheme that resulted in MARTA paying more than $500,000 for maintenance work that was never performed and for funneling most of the money back into his personal bank accounts. “The federal investigation and resulting federal charges against Mr. Erves will hopefully send a message to others that such ill-conceived schemes to redirect corporate or public funds to their own accounts is a criminal act with tough consequences. The FBI would like to thank the MARTA Police and their investigators for their invaluable assistance in getting this matter advanced for prosecution,” said David J. LeValley, Special Agent in Charge, FBI Atlanta Field Office. MARTA is the principal public transportation operator in the Atlanta metropolitan area, providing fixed rail and bus service to more than 500,000 passengers per weekday. Formed in 1965, MARTA is a multi-county governmental agency with a 2016 annual budget of more than $880 million. Erves, 52, of Lithonia, Georgia, has been charged in a criminal information with one count of Federal Program Theft. Erves is expected to plead guilty to the charge shortly after arraignment. This case is being investigated by the Federal Bureau of Investigation and the MARTA Police Department. Assistant U.S. Attorneys Jeffrey W. Davis and Alison Prout are prosecuting the case. A Pennsylvania man who operated a construction company that did work at construction projects at two military bases in New Jersey admitted on Feb. 21, 2017 to paying bribes and kickbacks to get the contracts. George Grassie, 54, of Covington Township, Pennsylvania, pleaded guilty in Newark, NJ federal court to an indictment charging him with one count of conspiracy to defraud the United States and commit bribery and one count of providing unlawful kickbacks. Grassie owned a business that did construction, excavation and landscaping and did work as a subcontractor at Picattiny Arsenal (PICA) and Joint Base McGuire-Dix Lakehurst (Ft. Dix). 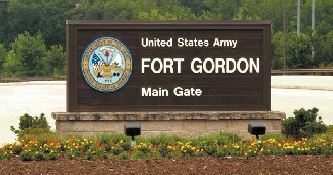 He admitted that from December 2010 to December 2013, he paid bribes valued at $95,000 to $150,000 to an individual employed by the U.S. Army Contracting Command in New Jersey to obtain and retain subcontracts and other favorable assistance at PICA and Fort Dix. He also admitted that he paid kickbacks valued at $40,000 to $95,000 to Shawn Fuller and James Conway, who were then project managers for a prime contractor at PICA and Fort Dix. Agencies responsible for investigating this case include the FBI, the Defense Criminal Investigative Service of the Dept. of Defense, and the U.S. Army’s Major Procurement Fraud Unit, Criminal Investigation Command. U.S. District Judge Max O. Cogburn, Jr. sentenced Boggs Paving, Inc. (Boggs Paving), its president and part-owner, Carl Andrew “Drew” Boggs, III, and four others on charges stemming from the illegal use of a disadvantaged business enterprise to obtain government-funded construction contracts, it was announced November 23, 2016. Drew Boggs, 51, of Waxhaw, N.C. was sentenced to 30 months in prison and two years of supervised release, and received a $15,000 fine after pleading guilty to conspiracy to defraud the United States Department of Transportation (USDOT) and money laundering conspiracy. Kevin Hicks, 44, of Monroe, N.C., was sentenced to two years of probation and was ordered to pay a $2,000 fine, after pleading guilty to conspiracy to defraud USDOT and money laundering conspiracy. Greg Miller, 61, of Matthews, N.C., was sentenced to 15 months in prison and two years of supervised release, Greg Tucker, 42, of Oakboro, N.C., was sentenced to two years of probation and was ordered to pay a $1,000 fine, and John Cuthbertson (a/k/a Styx Cuthbertson), 70, of Monroe, was sentenced to two years of probation, three of which will be served in home confinement, and was ordered to pay a $2,000 fine. They each pleaded guilty to one count of conspiracy to defraud USDOT. Judge Cogburn sentenced the company, Boggs Paving, to pay a $500,000 fine. A fifth codefendant, Arnold Mann, 56, of Fort Mill, S.C., was previously sentenced to a term of probation, after pleading guilty to one count of conspiracy to defraud USDOT. According to documents filed in the case, statements made in court and today’s sentencing hearings, from 2003 through 2013, Boggs Paving, Drew Boggs, and their codefendants engaged in a scheme by which they fraudulently obtained federally and state funded construction contracts by falsely certifying that a disadvantaged business enterprise (DBE), or a small business enterprise (SBE) would perform and be paid for portion of the work on those contracts. The purpose of USDOT’s DBE program is to increase the participation of such businesses in federally-funded public construction and transportation-related projects. According to court records, Boggs Paving and the codefendants used Monroe-based Styx Cuthbertson Trucking Company, Inc. (“Styx”), a road construction hauler and a certified DBE and SBE, to help obtain the government-funded construction contracts. Court documents show that the codefendants took steps to conceal their fraud, including running payments for the work performed through a nominee bank account in Styx’s name and using magnetic decals bearing the “Styx” company logo to cover the “Boggs” logo on company trucks, among others. According to court records, the majority of the money was funneled back to Boggs Paving and its affiliates, and John Cuthbertson, owner of Styx, received kickbacks for allowing his company’s name and DBE status to be used by Boggs Paving. Court records show that from June 2004 to July 2013, Boggs Paving was the prime contractor on 35 federally-funded contracts, and was a subcontractor for two additional contracts, worth over $87.6 million. Boggs Paving claimed DBE credits of approximately $3.7 million on these contracts for payments purportedly made to Styx. Styx only received payments of approximately $375,432 for actual work on these contracts, court records show. In court today, Judge Cogburn described the DBE program as laudable and emphasized the importance of deterrence in sentencing the defendants. 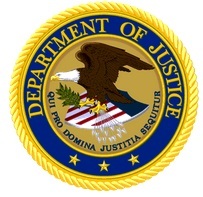 A federal grand jury has returned separate indictments charging John Wilkerson, age 51, of Moultrie, Georgia, and James T. Shank, age 68, of Perry, Georgia, with a wire fraud conspiracy and offering and accepting illegal gratuities, in connection with the award of more than $53 million in federal government contracts. The indictment was returned on October 8, 2015, and recently unsealed. According to Shank’s indictment, from August 28, 2006 until he retired on June 30, 2011, he was employed as a Program Manager at the United States Navy’s Space and Naval Warfare (SPAWAR) Systems Center. Shank worked with agencies within the Department of Defense to procure telecommunications equipment, software, and related services. According to Wilkerson’s indictment, he was a Department of Defense Account Manager for Iron Bow Technologies, LLC (Iron Bow), which provided IT consulting and other services to government and industry customers. Wilkerson was also part owner and operated an information technology company, Superior Communications Solutions, Inc. (SCSI). Co-Conspirator 2 was a program manager for an information technology company, Advanced C4 Solutions, or AC4S, from 2005 until 2011. In 2011, Co-Conspirator 2 left AC4S and went to work for Wilkerson at SCSI. The indictments allege that from September 2009 through August 2012 Shank conspired with Wilkerson and Co-Conspirator 2, to give them and the companies they worked for and/or owned an unfair competitive advantage in obtaining government contracts. In exchange, the indictments allege that Wilkerson offered, and Shank accepted, employment with SCSI while Shank was still a government employee and while he was taking official actions that benefited Wilkerson. In addition, Wilkerson allegedly paid Shank $86,000 in the year after Shank retired from government service, funneling the payment through two other companies in order to conceal the source of the funds. According to the indictments, Shank improperly shared information with Wilkerson and Co-Conspirator 2, and worked with them to structure the government contracts so as to give their companies an unfair advantage over other potential bidders. For example, according to the indictment, Shank, Wilkerson, and Co-Conspirator 2 developed a request for proposal (RFP) for DO27, a contract to supply labor services for an Air Force technology project, including for overall project management services, so that AC4S would win the contract. On June 10, 2010, DO27 was awarded to AC4S in the amount of $18,332,738.10. Wilkerson provided Co-Conspirator 2 with a quote for labor on behalf of SCSI that was less than the quote he had previously submitted on behalf of Iron Bow as their sales representative. After SCSI was selected as a subcontractor on DO27, it subcontracted with Iron Bow to provide most of the labor SCSI was supposed to provide under DO27. Wilkerson was able to earn income from the work Iron Bow employees were doing by having SCSI act as a middleman and charging a mark-up on Iron Bow’s work. Wilkerson and Co-Conspirator 2 then directed an SCSI employee to create false invoices supposedly documenting the hours SCSI employees spent working on DO27, which were submitted to AC4S and paid by the United States government. SCSI received $6,794,432.98 on DO27 out of the $18 million AC4S received for providing labor for the project. Shank also initiated the procurement process on more than 11 delivery orders that purchased telecommunications equipment and furniture as part of the Air Force project. Those delivery orders were issued to Iron Bow in 2010 and 2011. Shank made sure that the delivery orders included telecommunications equipment and/or furniture that were assigned SCSI-specific part numbers, thereby guaranteeing that SCSI would receive revenue from the delivery orders. The indictment alleges that SCSI received approximately $33 million of the $35 million paid to Iron Bow under the various furniture and equipment delivery orders. In late 2010 or early 2011, Wilkerson offered Shank employment. Shank did not disclose that fact to anyone at SPAWAR and did not recuse himself from any of the contracts that benefited Wilkerson. In February 2011, Co-Conspirator 2 left AC4S and went to work for Wilkerson at SCSI. According to the indictment, Co-Conspirator 2 received a $500,000 bonus when he joined SCSI, which was paid for by profit Wilkerson had earned on the furniture contracts. 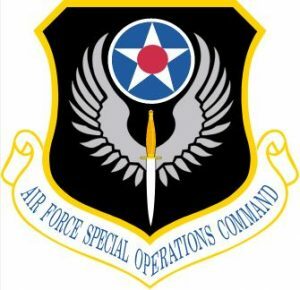 By March 2011, the Air Force project was not complete and there were a number of contract disputes related to the project. Shank was directed not to take any other action related to the project without the approval of a senior manager. Nevertheless, the indictment alleges that in April 2011, Shank accepted more than $3.7 million worth of invoices that benefited SCSI without informing the senior manager. After Shank accepted employment with SCSI in May 2011, but was still working for SPAWAR, he allegedly approved more than $1.1 million worth of invoices that benefitted SCSI and Wilkerson. Shank and Wilkerson face a maximum sentence of 20 years in prison for a wire fraud conspiracy; and two years in prison for offering and accepting illegal gratuities. Shank also faces a maximum sentence of 5 years for criminal conflict of interest. Wilkerson and Shank had initial appearances in the Northern District of Georgia on October 13 and 14, 2015, respectively, and have an initial appearance scheduled in U.S. District Court in Baltimore on October 23, 2015, at 11:00 a.m. The National Procurement Fraud Task Force was formed in October 2006 to promote the early detection, identification, prevention and prosecution of procurement fraud associated with the increase in government contracting activity for national security and other government programs. The Procurement Fraud Task Force includes the United States Attorneys’ Offices, the FBI, the U.S. Inspectors General community and a number of other federal law enforcement agencies. This case, as well as other cases brought by members of the Task Force, demonstrate the Department of Justice’s commitment to helping ensure the integrity of the government procurement process. United States Attorney Rod J. Rosenstein thanked Air Force OSI and the U.S. Small Business Administration Office of Inspector General for their work in the investigation. Mr. Rosenstein praised Assistant U.S. Attorney Leo J. Wise and Philip A. Selden, who are prosecuting the case. 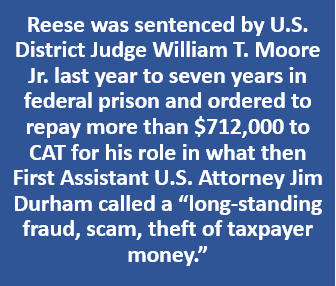 An Enterprise, Alabama, resident pleaded guilty on Oct. 23, 2015 in U.S. District Court for the Southern District of Florida to accepting unlawful kickbacks and tax evasion, announced Acting Assistant Attorney General Caroline D. Ciraolo of the Justice Department’s Tax Division. According to court documents and statements made in open court, Victor Villalobos, 47, worked for a federal prime contractor at Fort Rucker in Alabama. In 2009, Villalobos approached a subcontractor for this company and solicited illegal kickbacks on the federal subcontracts the subcontractor held in connection with the federal prime contractor. Villalobos agreed that in exchange for kickback payments he would refrain from conduct that would unfavorably affect the subcontractor’s business relationship with the federal prime contractor and help ensure that the subcontractor obtained additional business. As part of his plea, Villalobos admitted that from June 2009 to December 2014, he received approximately 57 separate wire transfers totaling more than $1.9 million in kickback payments from various foreign and domestic bank accounts controlled by the subcontractor. At two separate meetings in 2015, Villalobos met with the subcontractor and accepted an envelope containing $5,000 in cash and a bag containing $55,000 in cash as kickback payments. Between June 2009 and February 2015, Villalobos attempted to conceal his receipt of the kickbacks by incorporating nominee entities and opening nominee bank accounts. Villalobos also admitted that he attempted to evade income taxes on the kickback payments by causing false federal income tax returns to be filed. Villalobos faces a statutory maximum sentence of 10 years in prison for accepting the kickbacks and a statutory maximum sentence of five years in prison for tax evasion. He could also be fined up to $500,000 or twice the gain from his crimes. Acting Assistant Attorney General Ciraolo commended special agents of IRS-Criminal Investigation, the U.S. Air Force’s Office of Special Investigations and the Department of Defense’s Office of the Inspector General, who investigated this case, and Trial Attorneys Charles M. Edgar Jr. and Jason H. Poole of the Tax Division, who are prosecuting this case. Ciraolo also thanked the U.S. Attorney’s Office of the Southern District of Florida for their substantial assistance.